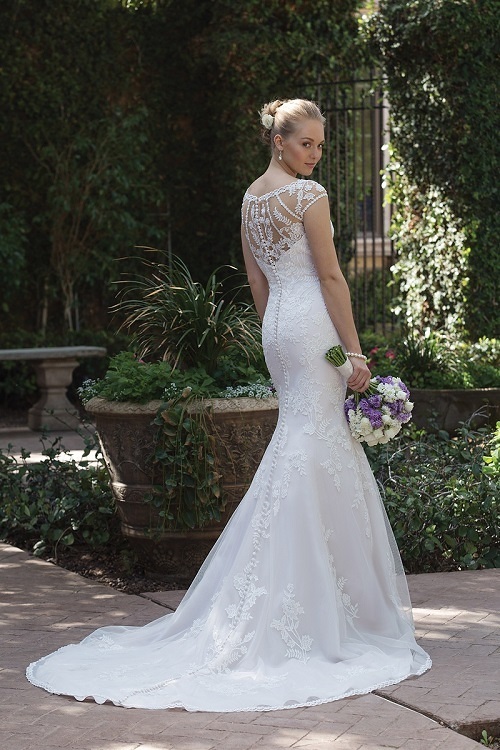 Venice lace and appliqués adorn this wedding dress with its illusion Sabrina neckline and illusion back. 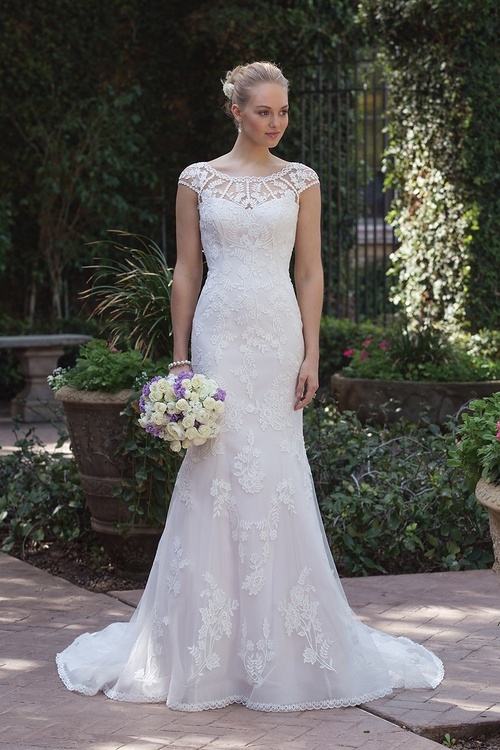 The fit and flare skirt is accented by floating Venice lace and a finished scalloped trim lace. Buttons start at the top of the back and cascade to the bottom of the hem.